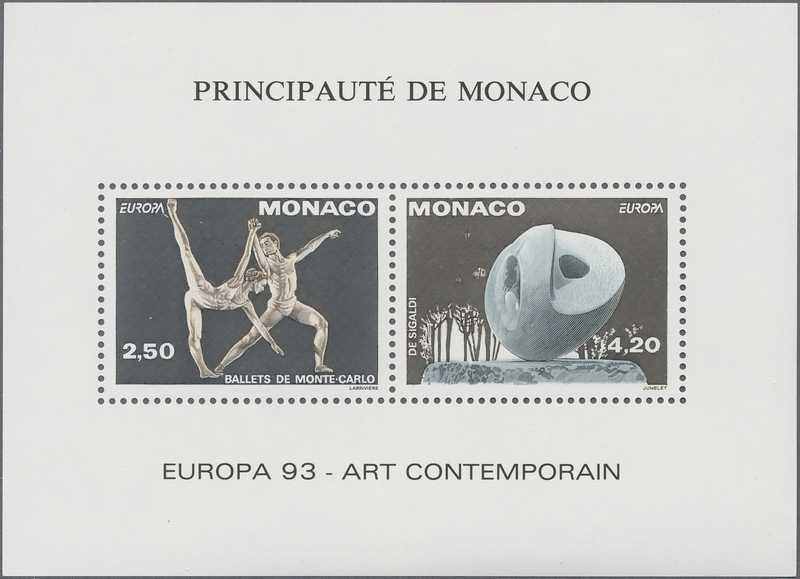 35757 postfrisch (never hinged) ** 1980, Olympic Games Moscow, bloc speciaux, six copies unmounted mint. Maury BS11 (6), 1.140,- €. 35781 postfrisch (never hinged) ** Bl. 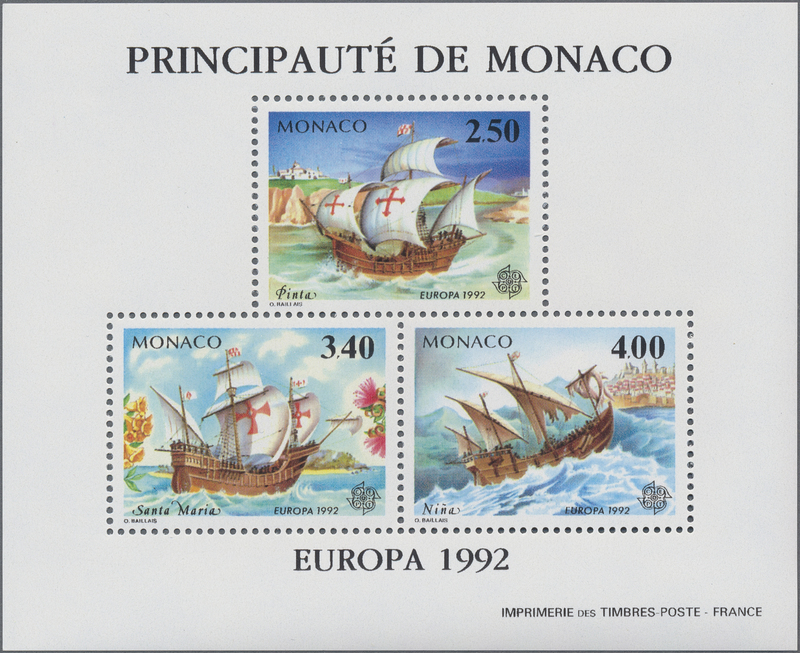 51 1991, 100th Anniversary of Prince Albert stamps, souvenir sheet IMPERTORATE, ten copies unmounted mint. Maury 1820A nd (10), 1.750,- €. 35789 postfrisch (never hinged) ** Bl. 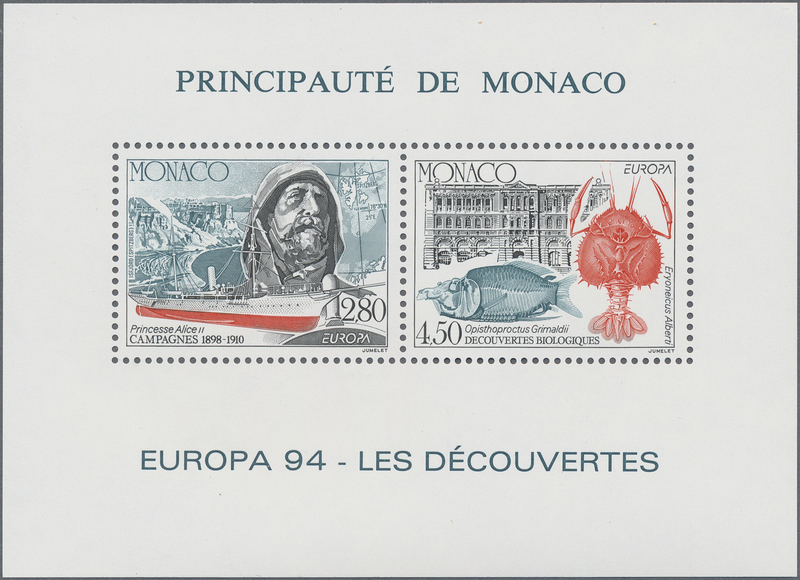 54 1992, Environmental Protection (Dolphins), souvenir sheet IMPERFORATE, ten copies unmounted mint. Maury 1858A nd (10), 2.250,- €. 35793 postfrisch (never hinged) ** Bl. 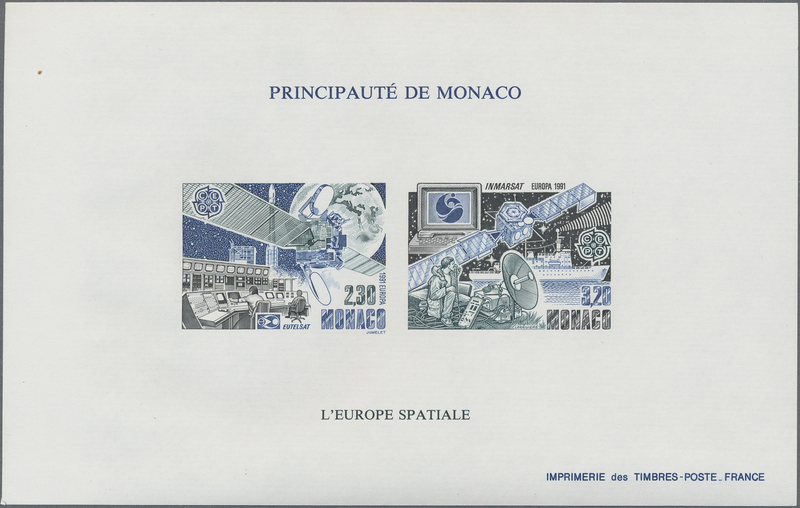 56 1992, Monaco Stamp Museum, souvenir sheet without impression of postmarks, ten copies unmounted mint. Maury 1876Aa "cachets absents" (10), 16.000,- €. 35794 postfrisch (never hinged) ** Bl. 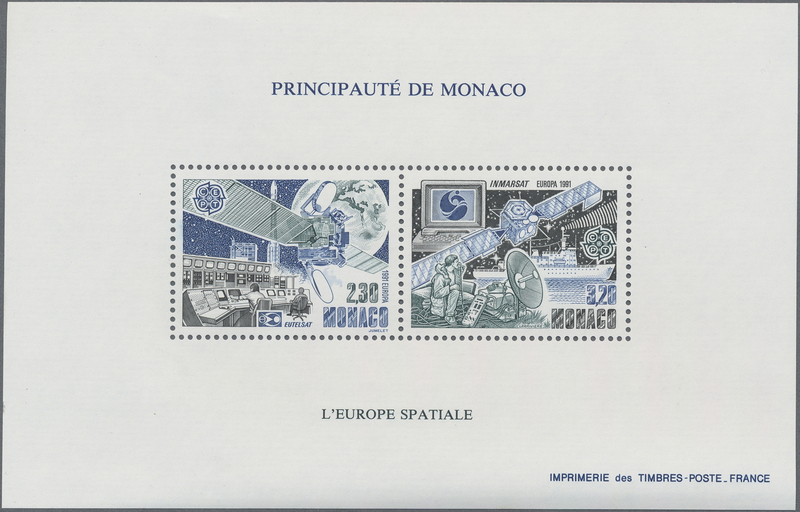 58 1993, Environmental Protection (Whales), souvenir sheet IMPERFORATE, ten copies unmounted mint. Maury 1897A nd (10), 2.250,- €.